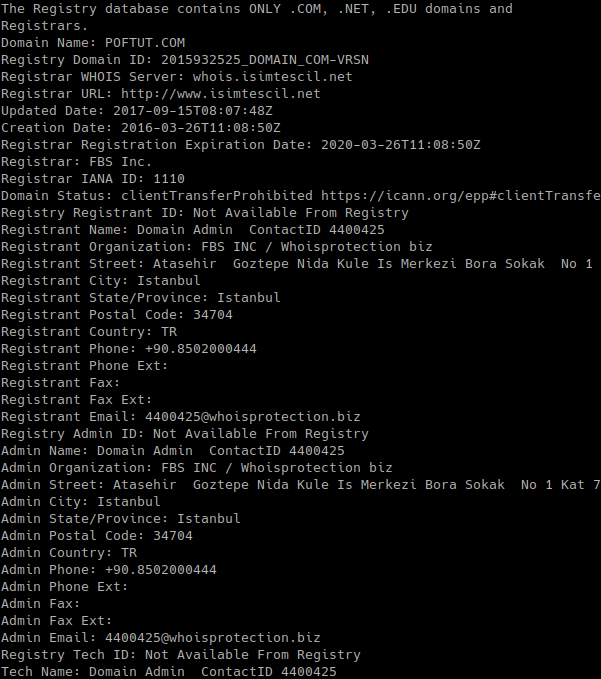 whois very popular and useful tool used to list and find domain information. We generally know that domain and sub domains are resolved to the IP address and our browser redirects to this IP address. But the actual story is not just this. Domain names have a lot of attributes which is consist of following sections. Now we will start by installing the who command in to apt based distributions like Ubuntu, Debian, Mint and Kali etc. This command will work with other apt based distributions too. We can also install whois command distributions like Fedora, CentOS, RHEL too. We will use yum in this case. The default usage of the whois command will provide all related information which will fill our terminal. This will list all provided information categories which is listed in the introduction section. We will provide the domain name which is poftut.com in this example. Domain Name information will provide the full domain name which is registered and queried. Registrar information will provide the company where this domain is registered. 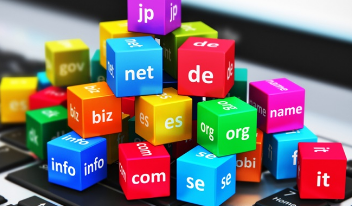 This company will generally provide some tool and interface to manage our domain name. Whois Server information will print the server which is replied this whois query. Name Server will provide name server of the queried domain name. Name servers are used to query domain related information like DNS, TXT and other services. Update Date will list last time this domain is changed which is domain duration extension operation. Creation Date will list information when the domain is created for the first time. Expire Date will list then this domain will expire and will be free to buy. Contact line will list the contact information of the domain owner.